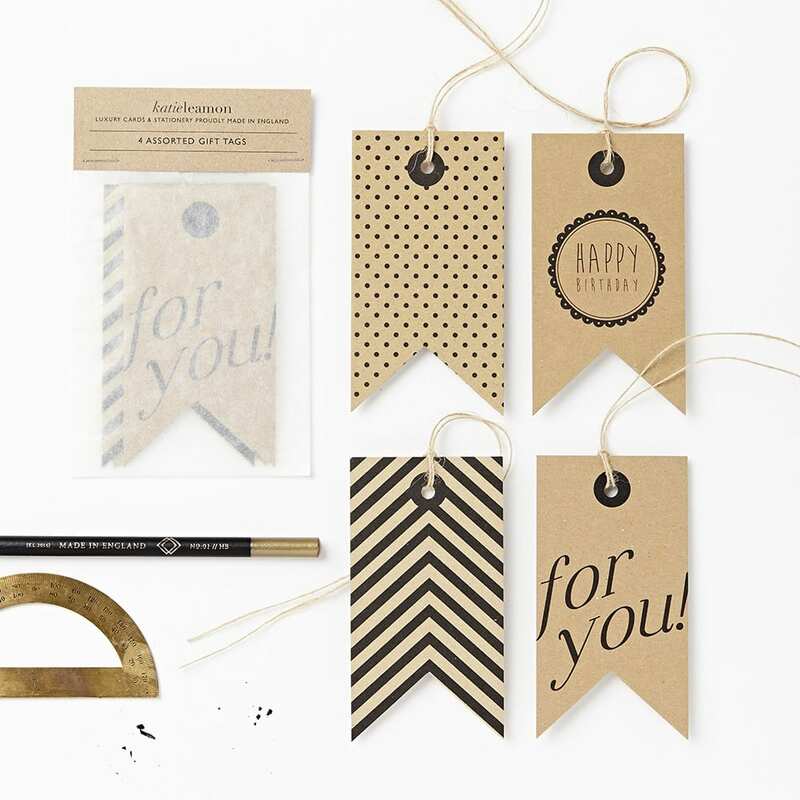 Packs contain 4 assorted kraft gift tags. Packed in a glassine bag with accompanying cotton jute twine. Packs contains 1 of each design.